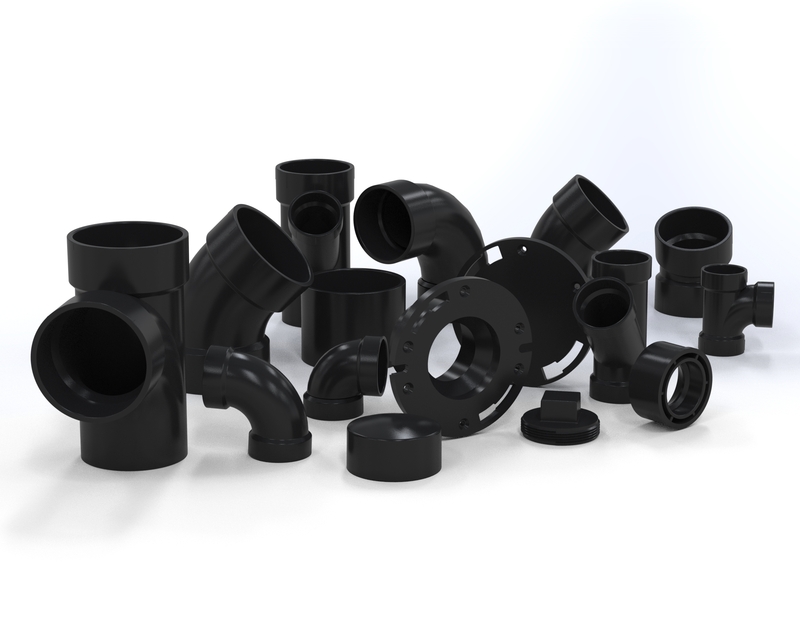 ABS Schedule 40 pipe fittings are suitable for sanitary drain, waste and vent use in residential, commercial and industrial applications. Heat and fire sources are essential to cause materials to burn. ABS pipe must be heated to over 870° F (465° C) before it wil ignite. The types of wood commonly used in home construction have ignition temperatures around 500° F (260° C) These temperatures are well above ordinatery room temperature and well below those generated by fire (over 1,000° F (540° C).